I followed the steps from the Pin and it worked out really well! The only difference is that I used striping tape to make a straight line. 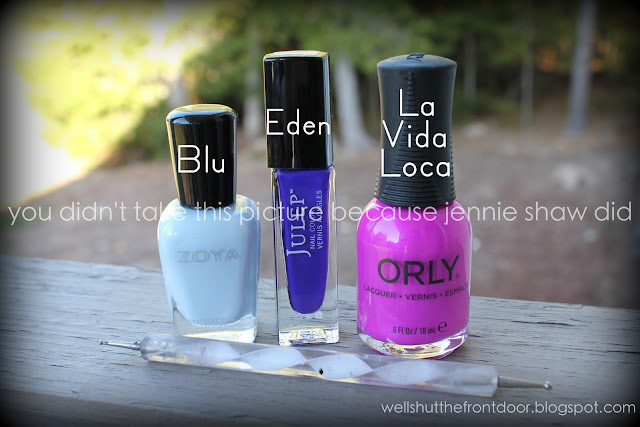 The most surprising thing was how blue Eden looked when I layered it over Blu (by the way, Zoya really disappointed me with that name as it's about a one-point-five on the Fun Scale). When I used it by itself, I was all: THIS PURPLE IS AMAZING! But with this mani, it looks almost like a navy. So weird! Ohhhh I adore the way this looks! OOOOOOOO love it, super cool! Wow yours came out awesome!! Nice job! This is really cool. 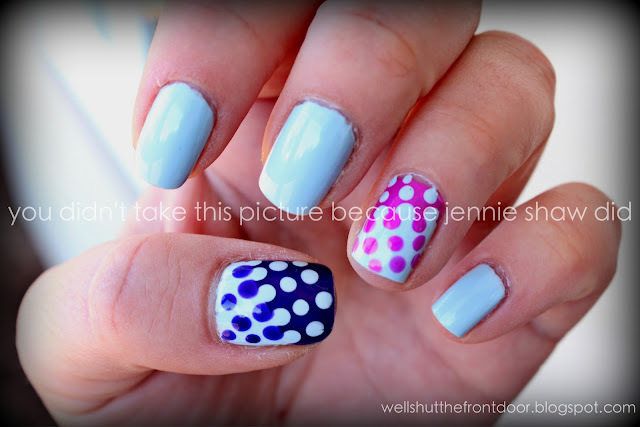 I love polka dots. this is so freaking awesome!!! !